Every year, a huge number of cars are shipped across state lines as dealers rush to fill their inventories. A surprising number of the spots on those auto transporters are occupied by individuals looking to move their cars across the country for various reasons. 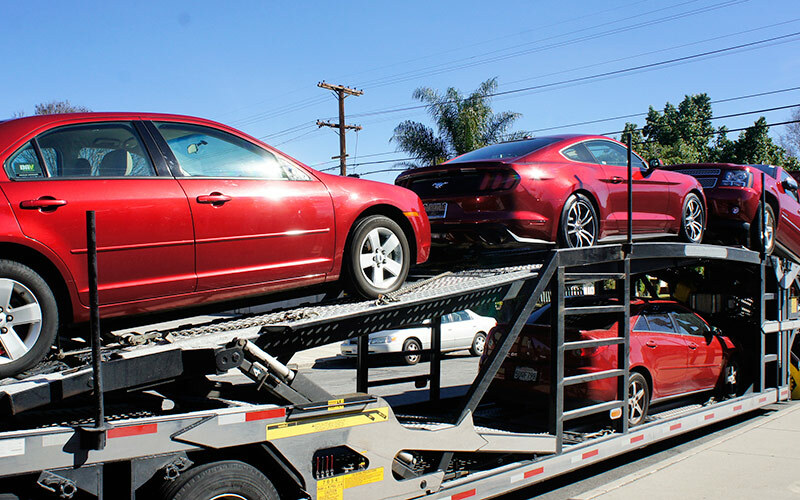 Open carrier transport is the industry standard for moving a vehicle from one place to another. It’s easy to load and unload, trucks can carry a great deal of cars and that makes the entire operation very affordable. We only work with truck drivers who are insured, and who are trained to handle cars, trucks and heavy machinery. Open auto transporters are one of the most effective methods for transporting a car across the country. So effective, in fact, that they are the first choice for professional dealerships to move new inventory across state lines. Open carriers can withstand all manner of road hazard too. It’s a great way to save mileage on the car you drive every day, with a cost to ship that rivals driving there. We take every possible precaution in loading cars, because we understand that they aren’t just vehicles. We ship classic cars and military vehicles too. We’re committed to taking care of your car every stop of the way, in addition to be an affordable choice for open carrier transport. Ready to get a great service from auto transporter?